They always surprise the audience with their charisma, incredible energy and drive, an extravaganza of sound and non-standard musical decisions. Specially for Valentine's Day the legendary Ukrainian team Vopl Doplease prepared for Belarusians special program: on 15 February on the stage of the capital Prime Hall the musicians will arrange real rock-n-roll extravaganza concert. Beginning at 20:00. 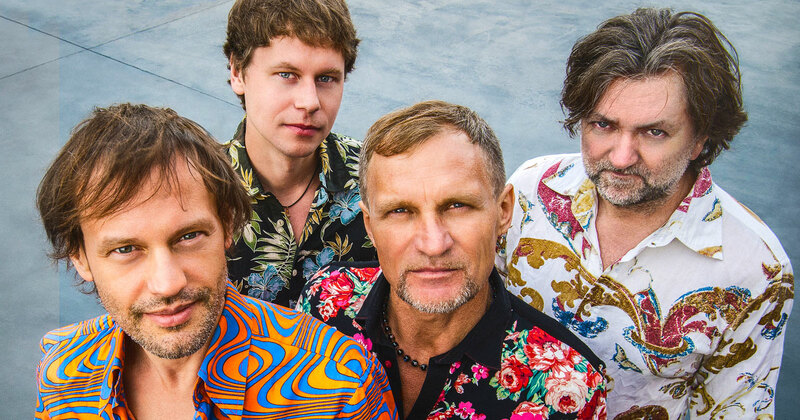 Vopl Doplease is called legend of the Ukrainian rock scene and founders of the Ukrainian rock-n-roll and ethno-rock, because they were the first rockers performing songs in the Ukrainian language. For more than 30 years of creative activity most of the songs “BB” can be considered national, because such imperishable hits as “Spring”, “Dances”, “the Day narodzhennya” you know hundreds of thousands of people around the world and always meet the audience with joy and delight. Besides, the permanent leader of the «BB» Oleg Violin can be called the Ambassador of Ukrainian culture in Belarus and Belarusian in Ukraine. Songs such as “Dances” and “Land of Dreams" translated into the Belarusian language and always on speaking Belarus has fulfilled in our native language. In a new enchanting program includes the best hits of “BB” over the years the work and viewers are waiting for new songs, which the Belarusians have not heard. Every performance of “BB” – a show with a real orchestra: video installations, light and sound show, and of course, driving rock-and-roll motifs that make dance for each PRushedshego the audience from the first chord. “BB” do not need any additional doping to make the gap in the hall, because the main thing for them – the audience. The strongest dope-scene, it is natural for the artist, because an important exchange of energy. You give her the hall – room returns, it nourishes you, supports you, adds Oleg Violin.